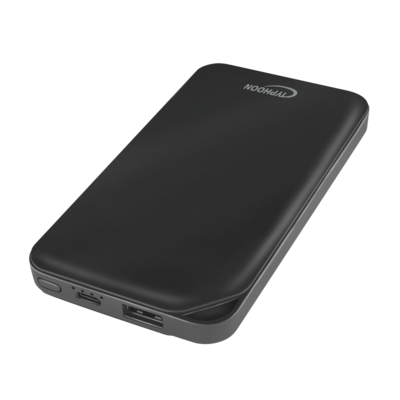 The Typhoon mobile powerbank (external battery) is the ideal companion on the go. It is especially suitable for high power mobile phones or tablets and allows you to charge your mobile devices such as smartphones, tablets, eBooks, MP3/MP4 players, etc. while you are on your way. With its compact design and low weight, this powerbank can easily accompany you and protect your devices from being turned off because of a low battery. 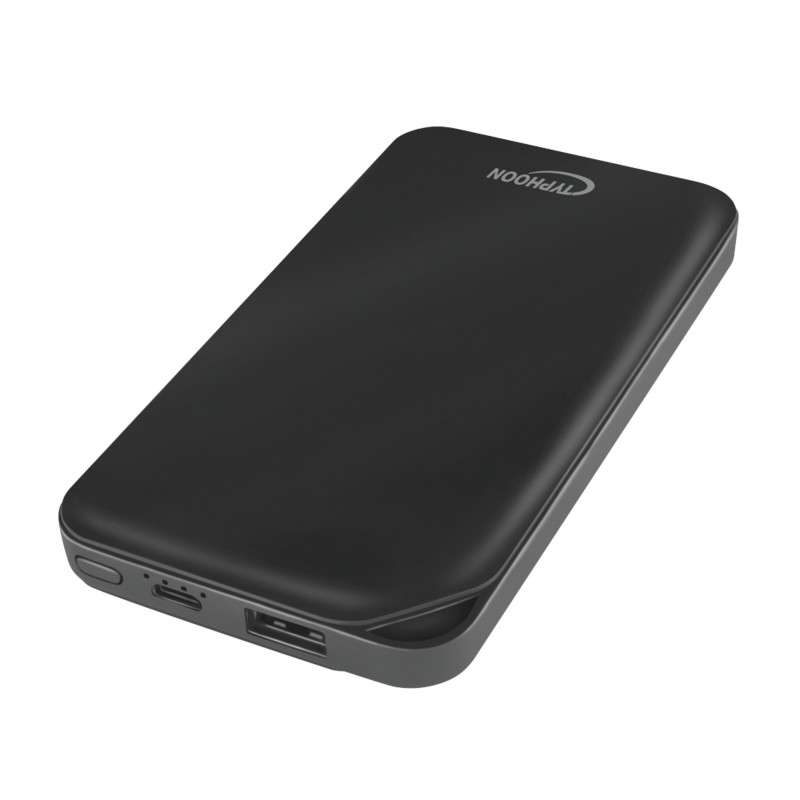 The Typhoon powerbank TM034 has a capacity of 8000 mAh and 1x USB port to charge your devices. In addition, it has a LED indicator that shows you the current charging status. The TM034 offers an overcharge, short circuit, overcurrent and overvoltage protection.